Welcome to volume 135. 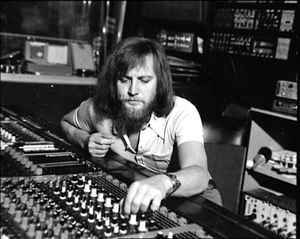 This time I'm going to concentrate on a producer, and some bands that he worked with whether he was engineering, producing or both; Dieter Dierks. Like Conny Plank, for whom I did the same thing with Vol116, Dierks eventually had world-wide commercial success but in his early days worked with some lesser-known bands. Many of them made heavy music and have already appeared in TDATS, so on this occasion I've done something a little different. There are going to be two parts, this one is made up of bands that are totally new to the blog, and the second (coming soon) will be bands that have already appeared, but songs from them that have not. Dieter still works and runs his famous studio. An interview with him can be found here that reveals some more about him, mainly focusing on The Scorpions, who were his greatest success. Originally wanting to become a film director, Dierks (Born 'Hans-Dieter Dierks' in Stommeln, 1943) started his career as an assistant to well-known directors such as Kurt Wilhelm. Around the same time he was an actor and he played guitar and bass, starting a band called Hush in 1969. According to his website bio "He inherited his musical talent from his [Catholic] father, a conductor, violinist, sax player and composer and got his business sense from his [Jewish] mother who ran a grocery store." Around the same time, initially equipped with two Revox amateur recording devices, he started a recording studio in the attic of his parent's house near Cologne. He rapidly found success and a great financial boost from a Europe-wide pop hit called 'Loop di Love' (a million miles away from The Scorpions! ), and his studio grew in size and facilities until it included a hotel for those who came to record, write and work there. In turn, the influx of reporters, musicians and other industry types boosted the economy of the small town of Stommeln as they patronised its restaurants and bars etc. Dierk's studio became Germany's first complete studio service, and a mecca for young musicians in the growing pop and hippie culture. "The mixture of countryside ambience and high tech studio equipment lured hosts of aspiring young talent to Stommeln which in those days was a totally unknown place...[while there they were] fed by Dieter Dierks' mother, affectionately called Mother Dierks". Dierks himself said: "The bands came to me since at the time, sound engineers in regular studios refused to record distorted guitars and other crazy stuff. I was open minded and fond of experimenting, so the young musicians and I were kindred spirits." "I had a hit and could quite easily live from being a producer. But my family and I were always living on the edge, since I re-invested almost all the money that came in, in order to always have the latest technology and state of the art equipment." Dierks clearly apreciated the role that rapidly-advancing recording technology had in the new sounds that were being forged in those creative times, he kept his studio technology up to date, adding all the new bells and whistles as they became available. He also introduced a successful fleet of mobile studios that served Europe and filmed shows like WDR's Rock Palast, Rocknächtelike and tours of mega-artists like Michael Jackson. Popol Vuh's "Seligpreisung" LP was recorded in a church by one of these mobile setups. Along with Conny Plank, who had a similar rise to production fame, Dierks made a significant impact in the success of Germany's music industry. In the '70s he was instrumental in the world-wide success of The Scorpions and Atlantis, supporting them in both technical and promotional needs with his facilities, expertise and label, Breeze Music. Dierks picked up The Scorpions after their second LP and starting with 1975's In Trance, produced all subsequent records up to 1988's Savage Amusement. As well as international names like Ike & Tina Turner, Eric Burdon, War, the Boomtown Rats and Rory Gallagher, Dierks worked with a number of the famous and lesser-known 'Krautrock' names, at his studios or other locations. Sometimes he would also contribute to the playing on various instruments. These bands include Tangerine Dream, Floh De Cologne, Witthüser & Westrupp and Wallenstein. He had a reputation not only for his technical abilities, but for getting the job done and keeping his head whilst those around him were losing theirs to the chemical assistance used in their experimental outpourings. He recorded Ash Ra Tempel's Timothy Leary collaboration, Seven Up, which according to the book "Future Days: Krautrock and the building of modern Germany", was a disappointingly lacklustre session, somewhat improved by Dierks' mixing and embellishments with studio musicians and extra sound effects after the fact. An amusing (but mostly apocryphal) tale is that of The Cosmic Jokers supergroup, in which Dieter played guitar, keyboards, bass, and percussion, as well as recording. The story goes that the records published under this name on the Kosmische Kuriere (Cosmic Couriers) label were not authorised by the musicians that played on them, in fact they did not even know they were "The Cosmic Jokers", as the sessions were just informal jams at Dieter Dierk's studio and other locations like a farmhouse in the village of Dill, fuelled by a steady supply of drugs. The musicians included Manuel Göttsching and Klaus Schulze of Ash Ra Tempel, Jurgen Dollase and Harald Grosskopf of Wallenstein, and Dierks. The instigator of the records was Cosmic Couriers label-owner and founder of important krautrock labels Ohr and Pilz , Rolf-Ulrich Kaiser (an LSD-championing acolyte of Tim Leary). Legend would have it that Manuel Göttsching only found out the 'band' existed when he asked what was playing in a record shop and was presented with a Cosmic Jokers record, showing him on the cover! Again referencing "Future Days", author David Stubbs states that Göttsching has refuted this story, saying that he was correctly contracted and even received advance royalties. Curly Curve made one album in 1973. It was recorded at Dierks' studio and he is credited as engineer. This is a good hard rock album that sounds to me more in the style of the UK and at times the US, with hints of boogie rock in tunes like Shitkicker. Information from AlexGitlin.com: "The fourth version Curly Curve came together in Spring 1972 and finally the band had the success they had been striving for. Apart from Kurt Herkenberg and Hans Wallbaum, the two heads of the band, the line-up consisted of Heiner Pudelko, Alex Conti, Axel Klober and guitarist Paul Fuhrmann. When Pudelko and Conti left the band in May (Conti went to join Atlantis, the band fronted by Hamburg-based singer Inga Rumpf), they were replaced by Martin Knaden (guitar) and Hanno Bruhn (vocals, guitar). Hanno Bruhn had been singing in various bands with the likes of Tony Sheridan and Don Adams and had won a singing contest initiated by the infamous "Star Club". This was to become the longest-lasting Curly Curve line-up. Curly Curve signed on to the Brain label and, produced by Frank Oeser, recorded their self-titled debut album (Brain 1040) in July 1973. The record shows the band playing a powerful, technically perfect blues rock with definite American influences. Even the usually most critical of all critics, the reviewers of Sounds music magazine, took a liking to the straightforward boogie rock of the Berlin band. Journalist Hermann Haring, who later on became chief editor of the magazine called Musik Express, wrote in his review: "A return to rock without any political ambitions. 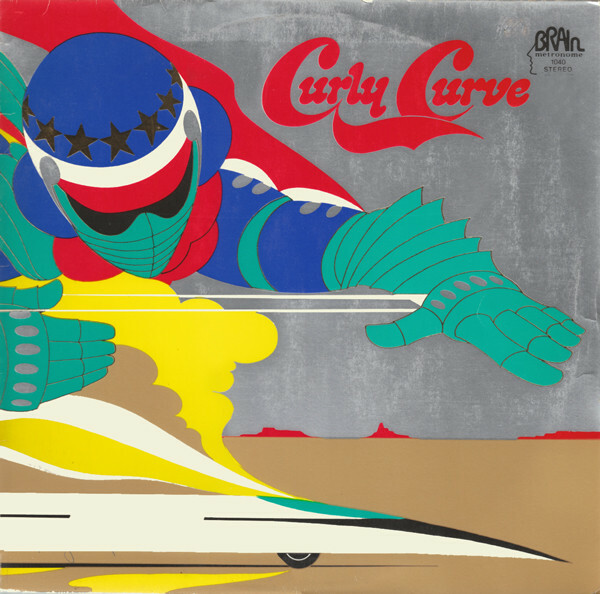 Curly Curve kick down the accelerator and speed off in a straightforward manner. They play a splendid kind of blues rock that for the future only needs a healthy dose of blackness for the soul." What he meant was such vital rock songs as "Queen Of Spades", "Shitkicker" with its psychedelic elements, and the impressive opener "Hell And Booze". Also worth a listen is the bluesy ballad "I'm Getting Better", which highlights Hanno Bruhn's smoky voice very well. The extremely colourful cover artwork caused a lot of curiosity as well - thanks to a shining high polish packaging, it definitely was an eyecatcher. 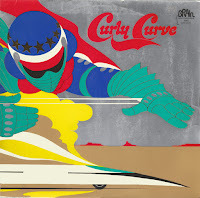 Even though the album was released to mainly positive reviews, it would be Curly Curve's only official release ever. Even though they now had a recording contract, they did not have much luck. 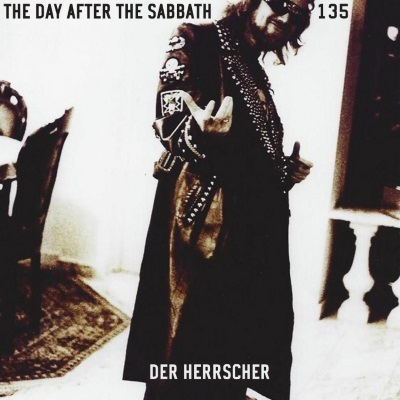 Following a well-attended German tour that saw them on stage with Karthago and other bands, someone broke into their rehearsal room while the band was preparing to record the second album. Not only was almost the entire band's equipment stolen, but the car as well. Following another change in the line-up (Martin Knaden was replaced by Leo Lehr), and arguments about whether the band should switch to German lyrics, the band dissolved for good." Lily made one album in 1973. For this one, Dierks was again the engineer where it was recorded in his studio. 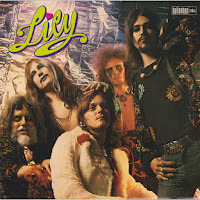 Information from Discogs.com: "Lily were never really "Lily" but were always Monsun (that's Monsoon in English) originating in the mid-1960's from a beat band called The Mods, going through various changes before gelling as Monsun in 1970. Recording a demo tape in Spring 1972, they so impress Bacillus Records producer Peter Hauke that he promptly signs them up after witnessing them live at the Frankfurt Zoom Club in October. Peter books them three days at Dierks Studio in January 1973. For some reason the big wigs at Bellaphon decided they wanted to promote them as a "glitter rock" band and with a more international flower-power name, hence they became Lily, all gleefully dolling themselves up for the chintzy cover shot." 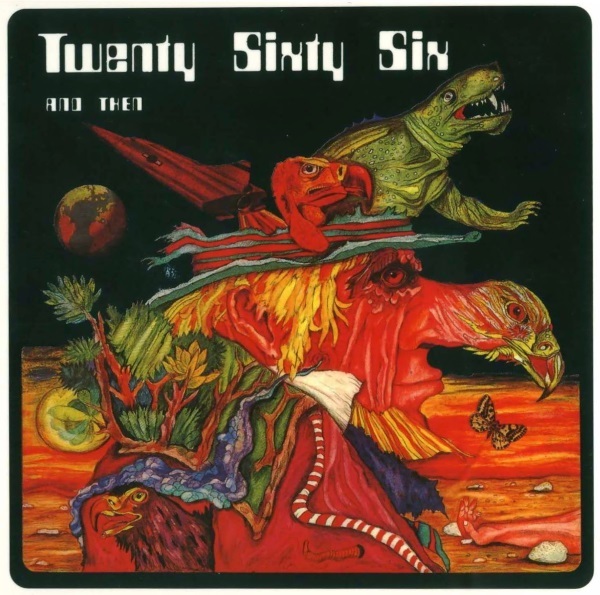 Mannheim's Twenty Sixty Six And Then are up next. Info from Progarchives.com: "They were Geff Harrison on lead vocals, Gagey Mrozeck on guitars, Dieter Bauer on bass, Konstatin Bommarius on drums and Steve Robinson with Veit Marvos both sharing duties on organ, electric piano, vibes, synthesizer, mellotron and vocals (the name '2066 & THEN' comes from adding an extra thousand to the number 1066, year of the historical battle of Hastings). Their heavy progressive style has been compared to that of Deep Purple, Vanilla Fudge and Iron Butterfly. After releasing their first album, individual members got involved in different projects that never really stood the test of time, so 'Reflections on the Future' is their only legacy, and a fine one at that. Their dramatic organ-drenched, complex music sometimes dons symphonic elements, but the band isn't afraid to dive into some heavy guitar/organ jamming either, featuring elements of jazz, some high-octane rhythmic parts and quick changes, mixed with weird psychedelic electronic effects - the hoarse vocals, however, perhaps better suited to conventional hard rock, may take some getting used to. Second Battle re-released the album in 1989 under the name 'Reflections on the Past'. Considered a collectors item, it also contains unreleased masters and some bonus practice sessions from an early rehearsal session in 1991. In 1994, the cd 'Reflections!' came out, compiling tracks from both, plus some which had been considered for a second album that never materialised. A combination of poor sales and a ruined German economy at the time sadly forced the premature death of this fine German band, only months after the release of their first album. 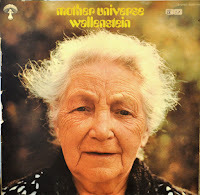 The next track "Der Herrscher" is originally from a record that was released under the name of Walter Wegmüller, and it later appeared on compilations of the collective The Cosmic Jokers, mentioned in the introduction. The album 'Tarot' would appear to be first record released that was the result of the assembled musicians that would become known as Cosmic Jokers. More info from ProgArchives.com: "In 1972, Rolf Ulrich Kaiser of Ohr records and a group of musicians from the Berlin Underground scene (Ashra Tempel) seriously started to think about cosmic rock music to satisfy their adventurous life with appropriate sounds. The idea of "Cosmic music" was also born as a protest against UK and United States obvious influences on rock music worldwide. The aim was to create typical German "acid" rock music. To put in practice his project, Rolf Kaiser founded his own label and called it "Cosmic Couriers". The name of "Cosmic Couriers" is an attitude of mind that emerged during the 60's. It was an idealistic movement which conceptually tries to look for ways to stay in high states of consciousness thanks to mescaline or LSD trips. The first album released under Rolf Kaiser's drug inspired philosophy was "seven up" with the guru of "acid test" Tim Leary and Ashra Tempel musicians. Soon after, the Kaiser produced two others albums with personalities from the underground psychedelic movement. 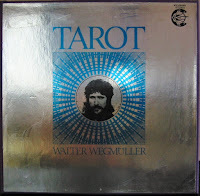 There was the mystic, esoteric writer Sergius Golowin (on recitations for the cosmic/psych folk project "Lord Krishna") and the Swiss gipsy folk artist Walter Wegmuller for the project around the symbolism of "Tarot" cards. In 1972 was released the "Tarot' album with the help of many krautrock musicians, notably Manuel Gottsching (for many guitars parts), Klaus Schulze (for electronic & effects), a few members of Wallenstein as Harald Grosskopf (on drums), Jurgen Dollase (on keyboards) and Walter Westrupp (on acoustic parts). Musically "Tarot" consists of numerous short tracks that we can described as a great synthesis of everything that emerged during the first krautrock years. Consequently the stress is put on hallucinatory, psych effects, bluesy/ trance guitar sounds, free form rock augmented with sophisticated synth sounds, acoustic folk passages with flute and guitar, pseudo-romantic piano arrangements and odd vocal recitations. Each track represents an idea developed by a "tarot" card. A fascinating travel through the subconsciousness and cosmic energies. The travel starts with the madman. He is the beginning and the end at the same time. So you can hear how he goes through his own world. He stumbles over earthy things and material obstacles and doesn't know that it can give. The wizard opens the door himself. In triumph, he appears on the scene. Then he lets himself play during an endless eternity. In his scenic railway, he plays his own life into a brand new eternal one. He opens the door which leads to all secrets." Demon Thor would appear to have had a combined heritage from Germany, Switzerland and the UK. 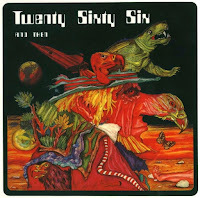 English keys player Geff Harrison crops up again on this one, from Twenty Sixty Six And Then. 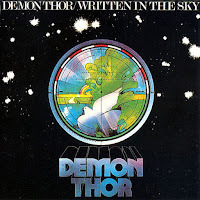 A two-album band, this time Dieter Dierks receives a co-production credit as well as engineer on their second LP, 'Written In The Sky'. The main ideas man of the band appears to have been Thomas 'Tommy' Fortman, a Swiss composer who has worked in Opera, rock, pop and classical. The music of Demon Thor is quite commercial but I dug the track Pink Mary and that is what's included here! Nektar was an English prog band who were originally based in Germany. I have chosen a track from their second album "A Tab In The Ocean", which was recorded at Dierks' studio and engineered by him. Info from ProgArchives.com: "Nektar is probably the most German-like of the Seventies British bands, a fame that owes a lot to the town in which this band was founded (Hamburg) and to their stylistic approach (Assimilated to Krautrock). They were formed in 1969 by Allan Freeman (keyboards & vocals), Roye Albrighton (guitars & vocals), Derek Moore (bass, Mellotron & vocals) and Ron Howden (drums). Their earliest albums were hard rock that drew heavily from the space-rock and Pink Floyd styles of the same period. The 70's gave them the occasion to issue some masterpieces, like for example "Remember the Future" (1973) and "Recycled" (1975). Each is a conceptual album that is a nice blend of melodic guitar and keyboards with a vocal story. "Journey To The Centre Of The Eye" is a mindblowing epic with lots of echoplex guitar and dual Mellotrons which is quite in tune with the Krautrock stuff going on around them, yet is definitely British. "A Tab in the Ocean" and "Magic is a Child" had shorter songs and were less satisfying. Fortunately there is a compilation album just called Nektar (1976) which has all the best bits of the albums and is highly recommended." The Chris Braun Band made three studio albums and a soundtrack to the movie 'Jede Menge Kohle' (imdb). 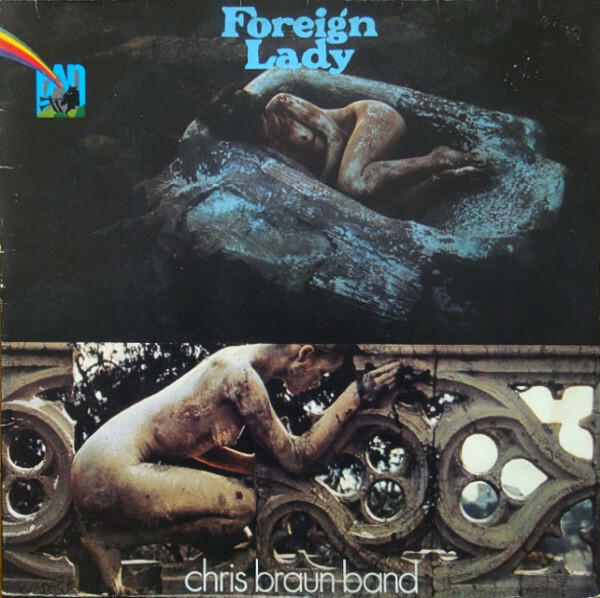 Their middle LP 'Foreign Lady' was recorded, produced and mixed by Dierks. They were fairly period-typical German progressive rock with folk and wind section, and Chris Braun's charismatic vocals sung in English. More English period-typical though, like Curved Air for instance. Also I got hints of Room on their first LP but it sounds a couple years more advanced. The track I used is from their Dierks-produced LP but I found their first one to be a better listen, so check out "Both Sides" (1972) also. 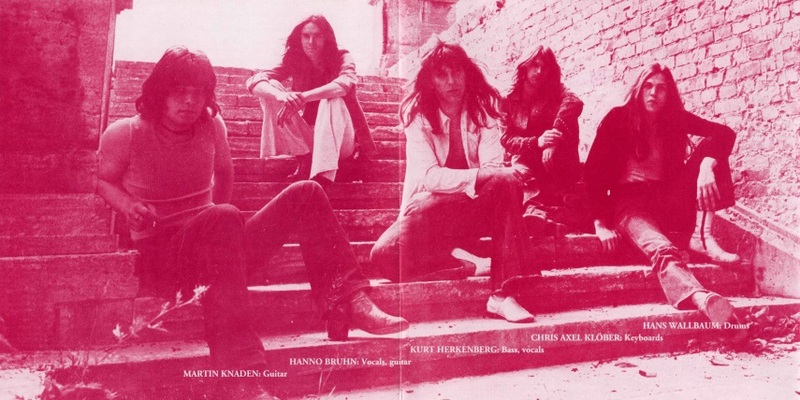 More info from ProgArchives.com: "Chris Braun Band are a Krautrock group based in Dortmund, Nordrhein-Westfalen, Germany who disappeared from the scene after 2 album releases [to reappear with a final LP in 1983]. In 1972 "Both Sides" featured Bill Bakine on drums, percussion, Jochen Bernstein on bass, Chris Braun on lead vocals, Elmar Krohn on guitars, flute, percussion, vocals, and Horst Schreiber on guitars, percussion, and vocals. In 1973 the heavy rock, jazz and psych album "Foreign Lady" featured again Chris Braun on vocals, joined by Bernstein's bass, Krohn's drums, and newcomers to the group Bernd Adamkewitz on guitar, and saxophone, and Klaus Melchers on piano, moog, and mellotron. The guest musicians on the album include Linda Fields on backing vocals, choir, Peter Hast on percussion and Jiggs Wigham on trombone. They also released two 7" singles in the seventies that have over the years become rare vinyl collector's items. Chris Braun wrote the songs, sung for the band and was founder of the group. Her gravelly voice may be compared to Inga Rumpf of Frumpy/Atlantis. 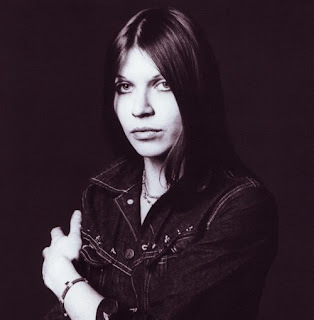 Her songs are a combination of folk-rock, jazz-fusion, heavy blues and hard rock." Wallenstein are a well-known krautrock band. They made numerous LPs with Dierks recording and/or producing almost all of them. Bassist Jerry Berkers (also of Cosmic Jokers) appears later in this volume with a solo record. More info from ProgArchives.com: "Wallenstein were a band that transcended a number of musical styles during their decade-plus of existence, from early krautrock to symphonic to space rock toward the end of their existence. The original lineup was centered around keyboardist/vocalist Jürgen Dollase and drummer Harald Großkopf, both of whom would go on to make names even bigger for themselves in the German music business (Dollase with The Cosmic Jokers and Großkopf as a founding member of Ashra and later the Central Europe Performance). The band was originally named Blitzkrieg, but as they readied their first studio release the band discovered a prior band with that name so changed theirs and retained 'Blitzkrieg' as the title of that first album. Großkopf would leave the band following the 1975 release of "Stories, Songs & Symphonies", and was replaced by former Zoppo Trump drummer Nicky Gebhard. This began a stretch of several lineup changes in the band, including the Genhard's replacement of Charly Terstappen, who would himself move on as a member of the skirt band The Lords; the addition of Achim Reiser on violin and Dollase's brother Rolf on flute; Jürgen Pluta on bass; and Gerb Klocker on guitar. The band's sound evolved from a straightforward kraut sound into a harder style reminiscent of Amon Düül II or Can, heavier on screaming guitar and piano with only sporadic mellotron for accent, and with the addition of violin and flute the band would adapt a truly symphonic sound for their later releases. By the close of the seventies only Jürgen Dollase remained from the original lineup, and the band faded into oblivion following the 1981 release of "Ssssssstop!". Marz & Eperjessy was the duo of Rainer Marz and George Eperjessy. Guitarist Marz is well-known as part of many bands including Epsilon, Midnight Circus, the excellent Jeronimo, and Atlantis (appearing later in the volume). Eperjessy came to Germany from the Czechoslovakian pop band The Beatman. How he came to work with Marz is not immediately clear to me but you can read more about him at what appears to be his website here. 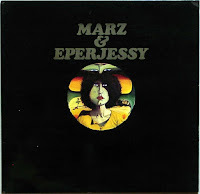 The Marz & Eperjessy LP was recorded and engineered by Dierks at his studio and there is little more to find regarding it as-yet, in fact I have only been able to find one song from it, 'Thousand Smiles' is included here and is thankfully very good! 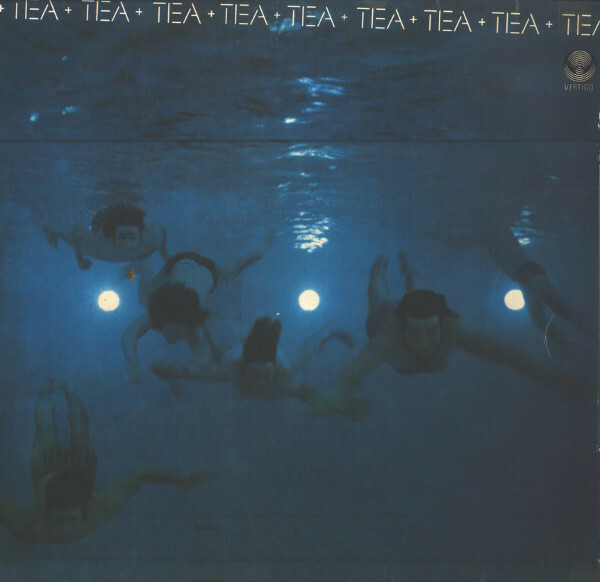 In tenth place on this volume is the Swiss band Tea. When doing the Swiss volume 83 (link) I decided not to include them, but on checking them out again for this, it seems that was a bit of an oversight as they do have some sterling music to offer. It would appear that Dierks was closely allied to the band, as its engineer and producer. Also appearing as backing singers for Tea was a Chilean pop band called Santiago, who Dierks produced for the BASF label (even the omni-present Rainer Marz showed up playing guitar on Santiago LPs). 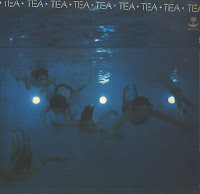 More info from ProgArchives.com: "Tea is a heavy progressive rock band formed in 1971 in Switzerland. The founding members were drummer Roli Eggli, guitarist Armand Volker, and bassist and vocalist Turo Pashayan. The band's name is derived from these three member's first initials. 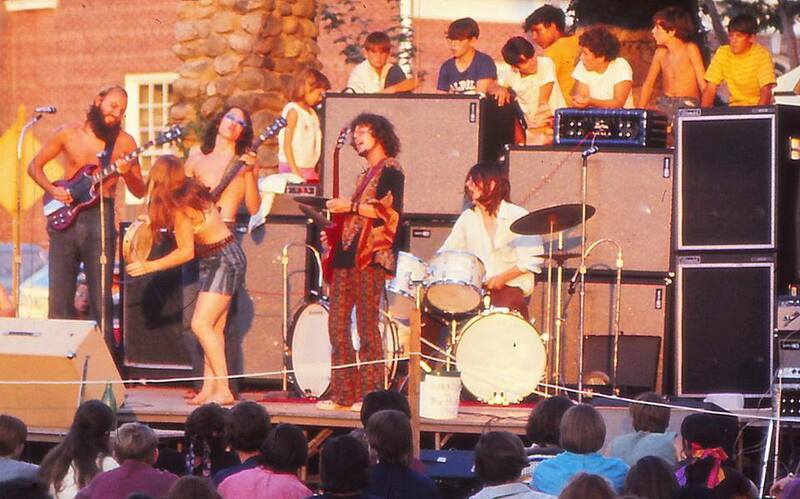 In 1972, the band augmented their lineup with lead singer Mark Storace. The band heavily toured in Switzerland and France, earning a name for themselves before they had even released any material, which led to them landing a spot on television, unheard of for many bands in their day, in 1973. In 1974, the band finally began to release music, beginning with a few singles that led up to, although they were not included on, the band's debut self-titled album in 1974. After the album's release, they even toured with international superstars Queen as the band's "special guests". 1975 saw the band's second album, "The Ship," The album protracted a similar positive buzz as the first album, with many positive reviews published about the album. The band again toured across Europe. In 1976 the band released their third album, "Tax Exile." Yet another European tour commenced, which even included singer Storace's native Malta. Although the band had enjoyed great success up to that point, Tea played their last concert in 1977. In 2007 however, Eggli, Volker, and Storace began thinking about a reunion. The band began rehearsing as a trio, as Keinholz declined to be included in the band and Pashayan was discovered to be in a German prison due to fraud charges. 30 years after the band dissolved, they released their fourth album "Reloaded," which was a retrospective album that included lesser known works & non-album tracks. The band began to play shows again in December of 2009." Jerry Berkers was born in the Netherlands. Here's some info from ProgArchives.com again: "He is best remembered for his work with Wallenstein ('Blitzkrieg' and 'Mother Universe' LPs) as well as his appearance on two of the Kosmische Kuriere LPs ('Lord Krishna Von Goloka' and 'Tarot'). 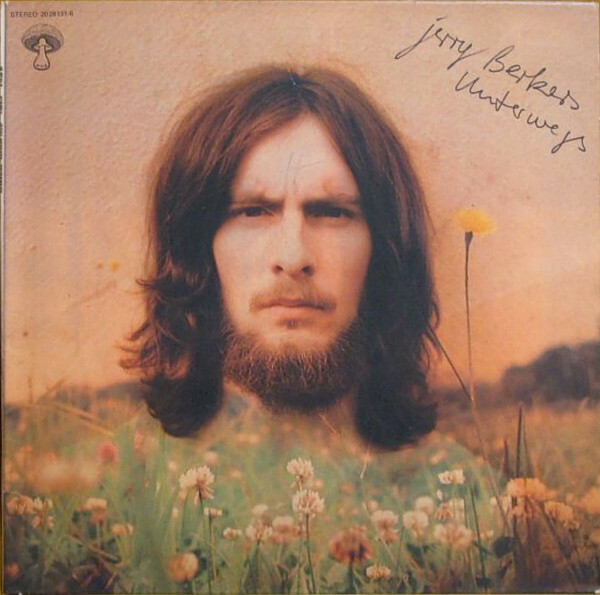 He only made one album in solo called "Unterwegs" (1972). The content mostly acoustic instruments and percussions with subtle keyboards parts. For the occasion, Berkers invited many of his friends and musicians with whom he had participated to several works for the Pilz / Kosmische Kurrier labels (Jurgen Dollase, Witthuser & Westrupp.). The compositions are melodic, pop, moody with a few complex progressive sounds put into structured short songs. The album was dedicated against the war in Vietnam (as suggest the lyrics.)" Atlantis was one of Dieter Dierks' most successful bands to work with. They made a variety of music and I found my favorite LP to be the fourth, "Get On Board", which Dierks engineered and produced. 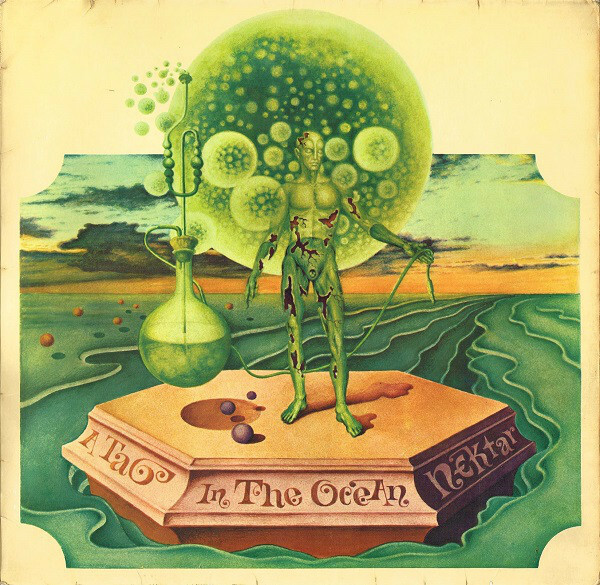 More info found at AlexGitlin.com: "Atlantis was a band formed by ex-Frumpy musicians Inga Rumpf, Jean-Jacques Kravetz and Karl-Heinz Schott, in late Summer, 1972. 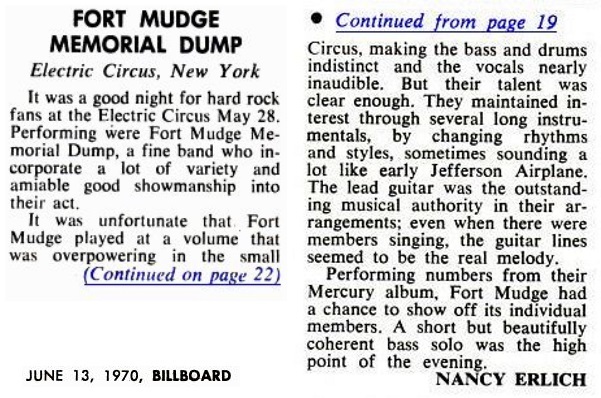 The initial line-up included guitarist Frank Dietz and ex-Emergency drummer Curt Cress (later with Triumvirat, Passport). The band played a few live gigs in Germany before they recorded their debut in London's Island Studios. The US magazine, Cash Box, compared Atlantis with the Doobie Brothers and praised Inga Rumpf's blues-tinged voice. Shortly before the group went on a four week tour of England with Procol Harum, Traffic, Vinegar Joe and the Sharks, Cress and Dietz left and were temporarily supplanted by Udo Lindenberg and George Meier. After the tour, Atlantis recruited Dieter Bornschlegel (ex-Traumtorte) on guitar and Ringo Funk (ex-Jeronimo) on drums as new permanent members. Rumpf and Kravetz remained the artistical nucleus of the band. Said Kravetz: "Inga determines this band like Rod Stewart & the Faces, her voice makes our image." Atlantis' second album "It's Getting Better" was even more determined by Inga Rumpf's preference for black rhythms: "I always took a special liking in blues, jazz and soul music, and, since I'm writing most of the songs, this influence is decisive in our music." Melody Maker "recommended" the second album and Sounds attested the band to be "the most English of all German groups". After the gig at the Paris' Olympia, Atlantis went, again, on a four week tour of England, which included a performance at the rock show, "Old Grey Whistle Test". During this tour, Kravetz left the band and had to be hastily replaced by Rainer Schnelle (ex-Family Tree). At the end of 1973, Atlantis was among Germany's three most popular German rock groups, according to a Musikmarkt poll. Half a year later, the line-up changed again. Schnelle and Bomschlegel were replaced by English keyboarder Adrian Askew and ex-Curly Curve guitarist Alex Conti. Both were featured on the third LP "Ooh Baby". Seven of the ten songs were written by Askew/Conti, while Rumpf only had three of her compositions on the album. The result was a "spicy funk album" (Musik Express) with a "bunch of Germany's best soul" (Sounds). Atlantis was at its best on stage, which was proved by a double album recorded live at the Hamburg Fabrik from 1973 - 1975. In Summer 1975, Atlantis went on tour in the States, mostly as opener for Lynyrd Skynyrd. After the tour, guitarist Alex Conti was fired and went on to play with Lake. The new line-up was completed with former guitarist Frank Dietz and as second guitarist Rainer Marz. 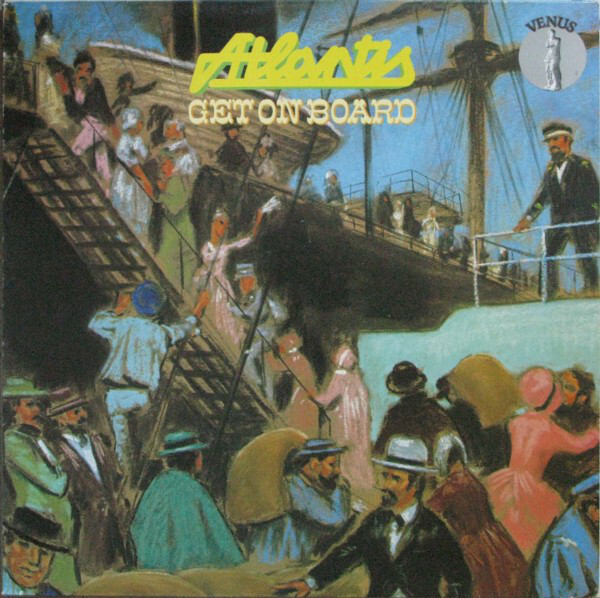 The rockier American influence was noticeable on Atlantis's fourth LP "Get On Board", but the LP and the following tour failed to have commercial success. Consequently, Inga Rumpf and Karl-Heinz Schott announced their departure in January 1976. After the split, the album "Top Of The Bill" with unreleased studio recordings from December 1975 and March 1976 was released. On February 23, 1983, the original line-up reunited for a revival concert in the Hamburg Fabrik and received standing ovations." 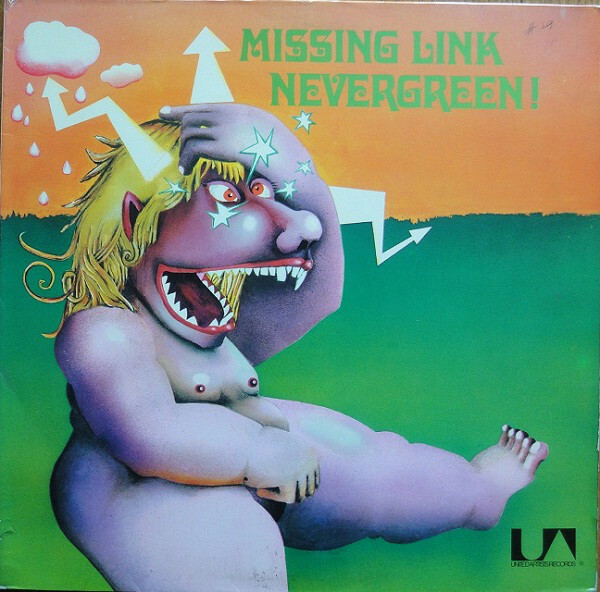 Missing Link's only LP 'Nevergreen!' was recorded and engineered by Dierks' at his studio. This is a jazzy prog LP which is mostly instrumental. It covers a lot of ground with various instrumentation and the track 'Kids Hunter', chosen here, is a great hard rocker using blazing guitar over hammond and wind section to great effect! More information thanks to ProgArchives.com: "This early 70's jazz-rock band from Munich has had a rather short career; in fact, it lasted the space of an album called "Nevergreen", released in 1972. Then the band broke up, most of their members scatttering about in various directions. They consisted of guitarist Markus Sing, soprano and alto sax player Gunther Latuschik, bassist Dave Schratzenstaller, vocalist Gabriel Dominik Mueller, future Sahara drummer Holger Brandt, and keyboard player Dieter Miekautsch who would later join Missus Beastlt and then Embryo. They played typical 70's German progressive jazz rock in the style of Thirsty Moon, early Embryo and Kraan. Almost each of their album's seven tracks seems to explore a different genre, at times centering around some jazzy sax riffs, at times surprising the listener with a quiet piano solo; or else venturing into loud, heavy rock outbursts mixed with acoustic guitar. The overall feel is quite jazzy and what stands out most is the interplay between guitar, sax and keyboards. Should appeal to fans of Embryo and Thirsty Moon as well as to some Ardo Dombec and Xhol fans." 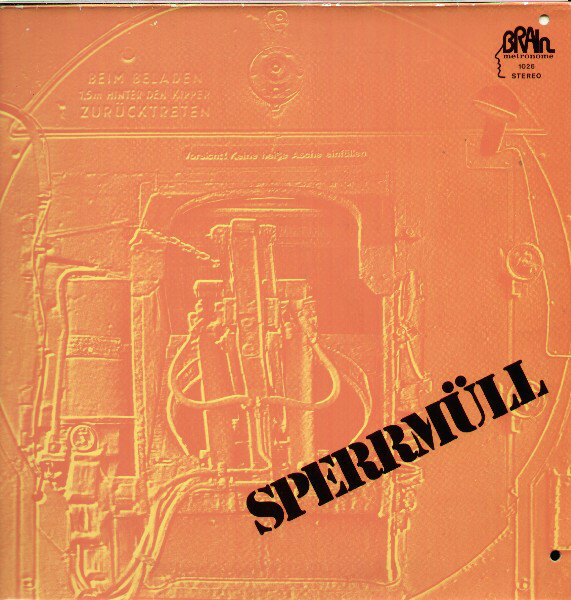 We near the end with Sperrmüll. Their album was recorded at Dierks' studio. 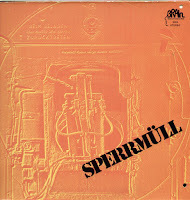 Thanks to Discogs and ProgArchives for the info here: "Originating from various beat bands in the Aachen area of Germany, Sperrmüll were formed in early-1971 as the trio of: Harald Kaiser, Reinhold Breuer and Udo Hager, expanding to a quintet with the addition of keyboards and winds shortly after. A long-time lost krautrock classic delivering a dynamic, complex combination between fuzzy freak out improvisations (full of Hammond organs and catchy heavy guitar leads) & epic folk arrangements for the flute. They published only one album in 1970 in a rather anonymous way at Dierks' studio (for the Brain label in a very limited edition, lately re-published by Second Battle). A very accomplished record. Similar to early Deep Purple, Nosferatu and Rufus Zuphall." 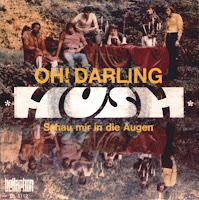 And finally we have a track recorded by the band Hush, which as mentioned in the intro, was Dierks' band that he started in the late '60s and made one single with. The A-side was a cover of The Beatles' Oh Darling, but the B-side was more interesting as an original composition of Dierks' own writing. Happy new year. TDATS is in its ninth year now, and still going, so thanks to all those who have shown support and welcome to the first post of 2017! 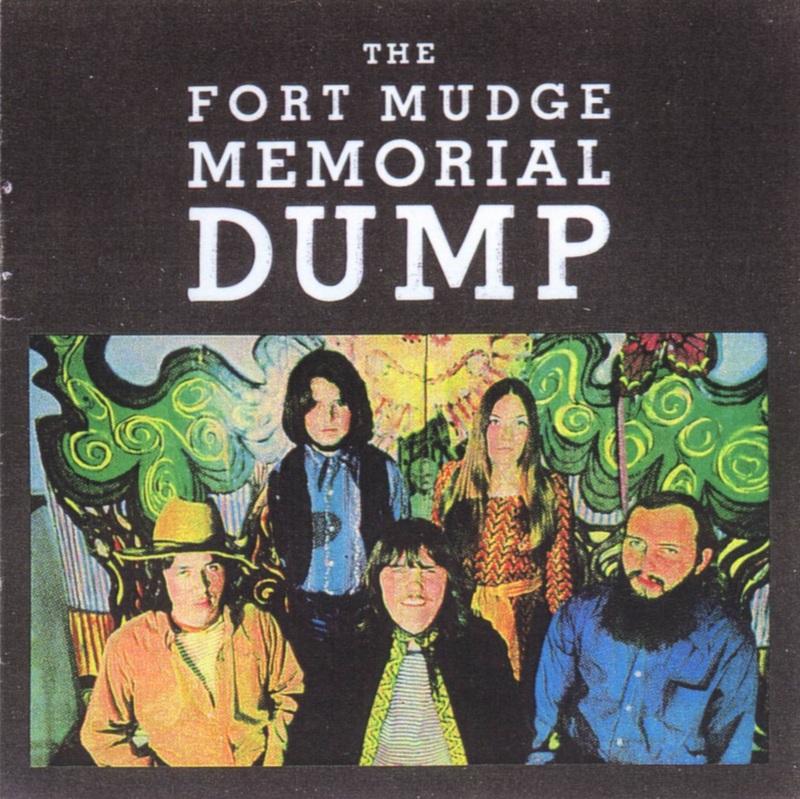 The Fort Mudge Memorial Dump was a prime psychedelic band from around Walpole and Boston in Massachusetts. They released one LP during their peak in 1969 and it's been a steady grower for me ever since I heard it a few years ago. A rich and varied LP which has something to offer everyone into vintage rock sounds. As was typical at the time, there were less genre constraints and expectations back then and you'll hear blues, folk, country and hard rock sounds mingling happily, with male and female vocals from various members of the band. These were David Amaral [bass], Jim Deptula [drums], Caroline Stratton [vocals], Danny Keady [guitar, vocals] and Rick Clerici [guitar, vocals]. Interestingly, comedian and actor Martin Mull (Roseanne, Mrs. Doubtfire, Veep) made a small contribution to the LP too. As is often the case when I am looking into bands to include in mixes (Fort Mudge has appeared in three so far: Vol95, Vol97 and Vol117), there was a surprising lack of general information about the band and their album, so I attempted to track down a few key members, eventually getting in touch with founding guitarist Dan Keady. He still plays and at the time of writing this, is in South West Florida's Deb & The Dynamics, where he now lives (link). He's kindly agreed to answer a few questions! Hi Dan! Can you give us some background about how you originally became a musician and some key events leading up to being in Fort Mudge? Dan: I started playing guitar at age 14 and sucked at it for a year or two but eventually put a band together made up of neighbourhood kids playing instrumental guitar music like the Ventures and surf groups. I used to go to see Rick play at the local record hops and he was doing the same kind of music. All that changed when the Beatles arrived and we all had to learn how to sing [and buy mics and vocal amps etc]. I ended up in a band that my older brother left for a gig in Boston. This was Walpole Massachusetts big time band Little John's Nocturnes. 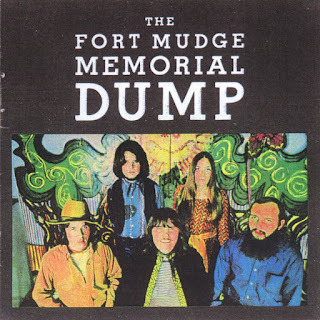 How did you and Rick get together with David, Jim and Caroline to start The Fort Mudge Memorial Dump, and where did that colourful name come from? While in Little John's Nocturnes playing soul music hits I met Caroline who was doing a folk jam with Rick. We decided that a folk rock band might get us an audience so we added drums and bass. David [bass] was younger than us and playing with a garage band down the street when we recruited him. The first drummer Al Barnicote just wanted to jam and recommended we replace him if we were going to rehearse and write every Tuesday night at my parents house. Jim "Chicky" Deptula was my drummer in earlier bands and could play well had great hair but was a troubled kid. 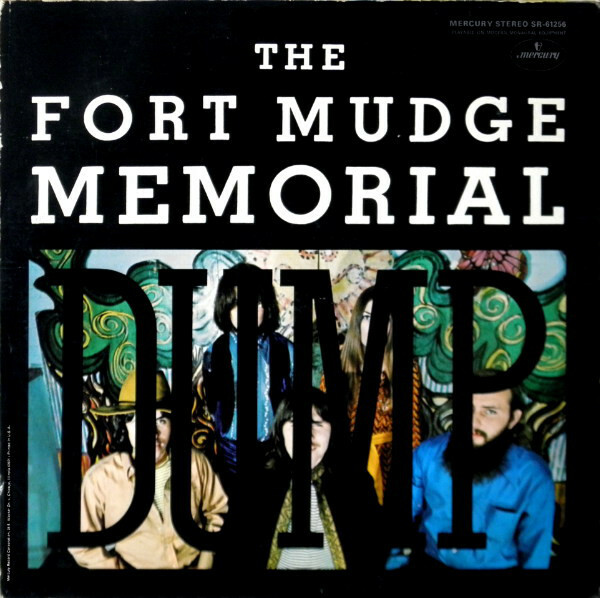 We spent about a year just jamming and playing Rick and Caroline's varied compositions until they morphed into the crazy mess that is Fort Mudge. The name came from Walt Kelly's comic "Pogo". If the band had been more successful we probably would have had to change the name as it was used without permission. 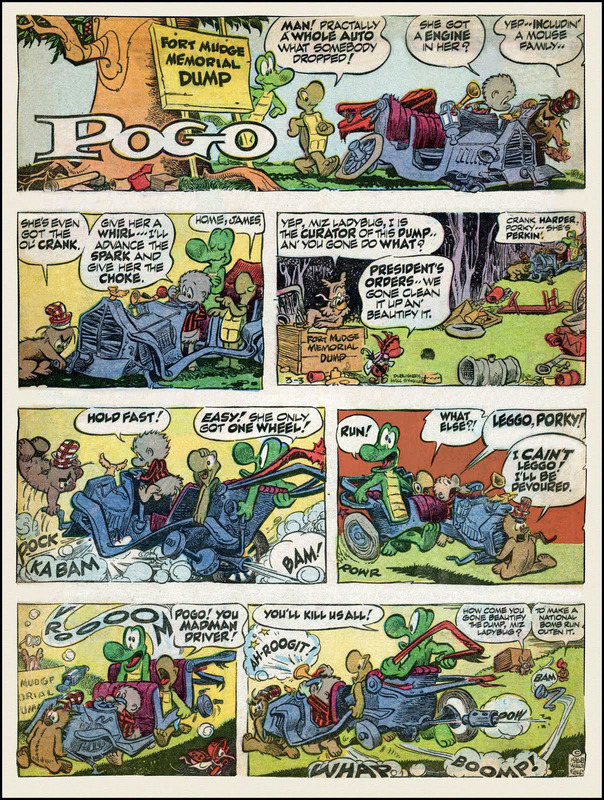 Excerpt from Wikipedia (link): "Pogo [Comic, est 1913] is set in the Georgia section of the Okefenokee Swamp; [the Georgia locales of] Fort Mudge and Waycross are occasionally mentioned. The characters live, for the most part, in hollow trees amidst lushly rendered backdrops of North American wetlands, bayous, lagoons and backwoods. Fictitious local landmarks — such as "Miggle’s General Store and Emporium" and the "Fort Mudge Memorial Dump," are occasionally featured." Can you tell us some things about life in the band? Where did you play shows? We heard about free concerts on Sunday afternoons at Cambridge Commons near Harvard University and went to check them out. The guys running it said we were welcome to come and play our own material for their crowd [not the standard thing in those days]. We played every Sunday that summer [1968 I think]. At the end they offered to manage us and make us stars. One was eliminated when he started messing with the money [we were playing colleges and high schools by then] and Ron Beaton became our manager with the agreement that he wouldn't get paid until we got signed with a record company. He formed Moonstone management and went to New York bringing our demo to everyone that would listen. I guess the "Boston sound" had attracted some attention and bands were getting signed and selling records. 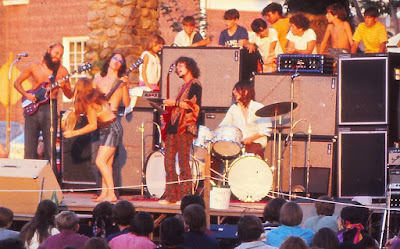 A few reps came up to see us but the summer of 69 saw a great increase in our audience at the free concerts in Cambridge. So we got a rep from Mercury to come up for a weekend to see us play for a thousand people at a university followed by our headlining the Sunday concert for 8000 or more. Fort Mudge in front of a home crowd at Walpole Mass. How did the recording of the album come about, and how did comedian/actor Martin Mull get involved and what did he contribute on the album? The Mercury rep reported back to NY that we were extremely popular and should be signed. Of course it took months to get the deal done and the rep was long gone by the time we recorded a note. We recorded in Boston in what would later become The Cars' studio [Petrucci & Atwell Sound Studios]. Martin Mull was a struggling musician and house guitar player at the studio. He lent me his Gibson ES-335 for 'blues tune' and entertained us between takes. Once the basic tracks were laid down half of the band just hung out in the front office with Martin while others did overdubs and vocals. Rick Clerici played all the acoustic guitar parts as well as electric on his songs. Most of the noisy stuff is me. Did the producer Michael Tschudin and engineer William Wolf have significant input in the record? The producer Michael Tschudin played all keyboard tracks including picked piano and other odd sounds. Bill Wolf was a bass player and insisted that David use his old Fender bass because it sounded better than David's Gibson EB3. That was his opinion but he insisted like it was fact. I felt bad for David who was very young but accomplished on his instrument and he clearly didn't like the Fender's high action and dead sound but in the end it sounded great. The album is ambitious and diverse, there’s some heavy fuzz guitar on tracks like 'The Seventh Is Death' and 'The Singer', there's blues like 'Blue's Tune' and there's mellow orchestrated songs like 'Actions Of A Man' and 'What Good Is Spring'. No two songs are really alike. Can you explain how such a diverse mixture of styles and instrumentation came to be included? The songs were written by very different people and we were intentionally not listening to any other music so that we could develop an original sound. I'm told my leadership and arranging were very heavy handed and led to the demise of this version of the band but it was successful and I felt that the band needed a direction. What equipment did you use to get your sound on the LP? I was mostly using a Gibson SG special running into a fuzz and wah wah pedal [only on sometimes] then into a Marshall 100W Plexi Superlead amp. I did use Martin Mull's Gibson ES-335 for Blue's Tune and possibly other overdub solos. Is it you singing on 'Blue's Tune' (which is credited to you)? Yeah that's me trying to sound blackish. I'm still the blues singer these days, and was also the 'B' in Southwest Fla.'s The R&B Connection in the 90's (the CD is probably on youtube), as the bass player used to say. I am featured doing blues songs on all the latest releases from Deb & The Dynamics. Are you able to give any personal insight into the meaning of “The Singer”? It’s a heavy and foreboding sound that I really dig, along with all your (as always) inventive guitar parts! If I recall, Rick said The Singer represented good. Like Jesus or Martin Luther King preaching non-violence and, as in the last verse, parents can create hateful children who can grow up to be The Singer's executioners. Do you have any favourite tunes from the LP? I still like 'The Singer'. Both musically and lyrically it still holds up today, although my guitar tone has improved quite a bit. I also like 'Tomorrow' for the lyrics and the sounds ...a lot went into the background to get that done. What was the public/critical reception of the record on release? From what you've said previously, I presume the LP lineup didn't last long after it was made? In the Boston area we were an instant success. I remember Caroline and I going to a big record outlet and seeing boxes of our LPs stacked up. They were just cutting them open and stacking them. They said sales were so good that they couldn't bother loading into the bins like other records. 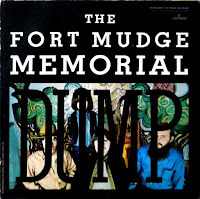 Fort Mudge's album has been re-released by Mercury and there is a lot of buzz online from all over the world. My daughter recently found a band doing covers of these songs selling downloads online. 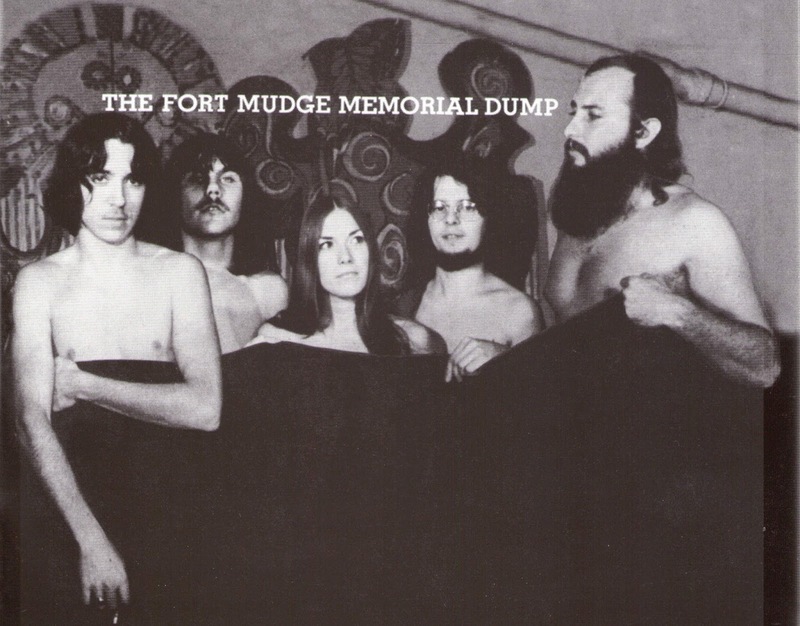 I had several different versions of Fort Mudge, one even did another never-released album. We eventually morphed into 'FM'. then 'Madeinusa' and finally 'Love Lace' [featuring Mudge's Caroline Stratton and Chicky Deptula]. There's plenty about all that online.